My passion is encouraging people to use their voice! I would love to encourage you to sing in a Community Singing Group, and to develop more self confidence through finding a relationship with your own voice that is positive and rewarding. My singing teaching is done within the principles of The Natural Voice Network whose primary aim is to bring singing back into everyday life. 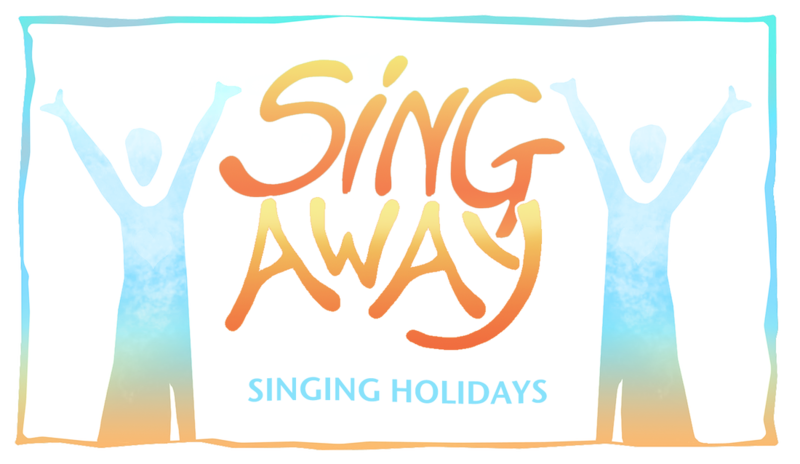 My 3 groups run weekly, but if you fancy being saturated in singing for a whole week then one of my singing holidays is for you! See below. 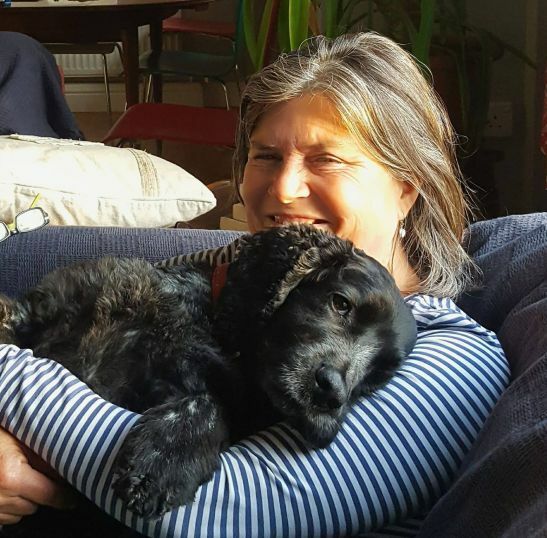 ​My work as a therapist has developed over many years of practical work in a number of different settings, and I have now developed a method which enables personal development and an increased sense of well being through working with your own unique voice. See my Sound Matters below. Yes, but I can't sing! How often have I heard that cry. So many people have been told at an early age that they can’t sing, and because this is usually linked with some sort of ridicule, the belief stays, and the fear of trying again dominates any attempt to prove this otherwise. The truth is that if you can talk you can sing, it’s as simple as that because you use the same mechanism. It takes me less than 5 minutes to show you this and prove that any note you sing is as good as any note I sing. It takes another 5 minutes to show you that you can learn to sing the same note as me, and from then on you can start learning some songs and singing with others in one or other of my groups. With just a little practice you can create music like this (play video below). These are weekly singing groups that are open access for anyone who wants to join. ​For term dates, venues, videos and more click here and then be sure to come and join! ​We have just had our concert for this year and again it was a huge success. Probably the best ever to be honest. We had a lovely variety of songs to sing, most of which we knew really well so could give them high class treatment. We raised over £2000 which was incredible. We had a wonderful concert in June at Salthouse Church raising over £800 for the roof restoration fund. It has to be one of the most special places to be and sing in!! Talking of special places to sing, our next Big Sing at Binham Priory is on 16th September. our last meeting in March was a spectacularly beautiful day and the sun poured in through the windows, warming us in the chill of the building, lifting our spirits even more . The singing was sublime and several passing visitors were able to simply sit and listen. Below is a snippet of how we all work together when we are not doing a concert and it remains really informal. The singing holidays that I lead are always in lovely places either in the UK in Europe and now in Morocco. They are designed for people who want to go away somewhere special with a group of like minded others, to explore the joys of singing together. We had another fabulous week in Portugal last spring. The flowers were stunning, the sun shone and the people had the most lovely time. We are going again, to a new venue, in May 2018. We had a unforgettable week at La Maison Anglaise in Taroudant in Morocco in October. I have plans to return in the Spring of 2019 - to Tafroute in the Anti Atlas Mountains. ​"The holiday exceeded any expectations that I had before going. The group interaction was deep, meaningful and really friendly and given the small number of people our musical achievements were amazing! I loved Monte Rosa, especially the Round House, and the balance of free time was perfect. This is a new and exciting aspect of my work. Do you love the sound of your own voice and can you use it to really express yourself? I have in the past created the first 'Training For Community Choir Leaders', some of whom are pictured above. ​Do contact me if you are interested in this in the future. ​"You have lead pushed and guided us expertly and with good humour. Sounding bowls are unique creations by Tobias Kaye, made in Buckfastleigh in Devon. They have made their way into my life and are becoming an essential part of the more healing aspect of my work. These bowls are made from a variety of different woods with strings attached to the inside of the bowl. It is this that makes them so special. My dog Oscar loves it when I play to him.